After completing her medical school studies at the University of Newcastle in 2004, she returned to Sydney to undertake her anaesthetic training. She undertook her anaesthetic training at Liverpool Hospital, a major tertiary trauma centre, where she gained a great deal of experience in high risk anaesthesia, with a special interest in head and neck procedures and obstetrics. Since completing her fellowship in anaesthesia, she has continued to work in Liverpool hospital where she is now a supervisor of training for the Australian and New Zealand College of Anaesthetists (ANZCA). Dr Bullock also works at a number of private hospitals throughout Sydney including, North Shore Private Hospital, St Luke's Private Hospital, Prince of Wales Private Hospital, SSWPH, and Hunter's Hill Private Hospital. Outside interests: She has recently taken up running and last year completed her first marathon in Canberra. She also plays field hockey for both masters and open teams. Dr Marcus Maller graduated from Medicine at the University of New South Wales. He completed his specialist anaesthetic training at Prince of Wales Hospital and with Care Flight, obtaining his specialist qualifications in 2011. His regular scope of practice consists of a broad range of anaesthesia, from head and neck surgery, vascular surgery, orthopaedic surgery, plastic/ reconstructive surgery and general surgery amongst others. He has appointments at Prince of Wales Hospital, Prince of Wales Private, Macquarie University Hospital, The Mater, Ryde Hospital and Norwest Private Hospital. 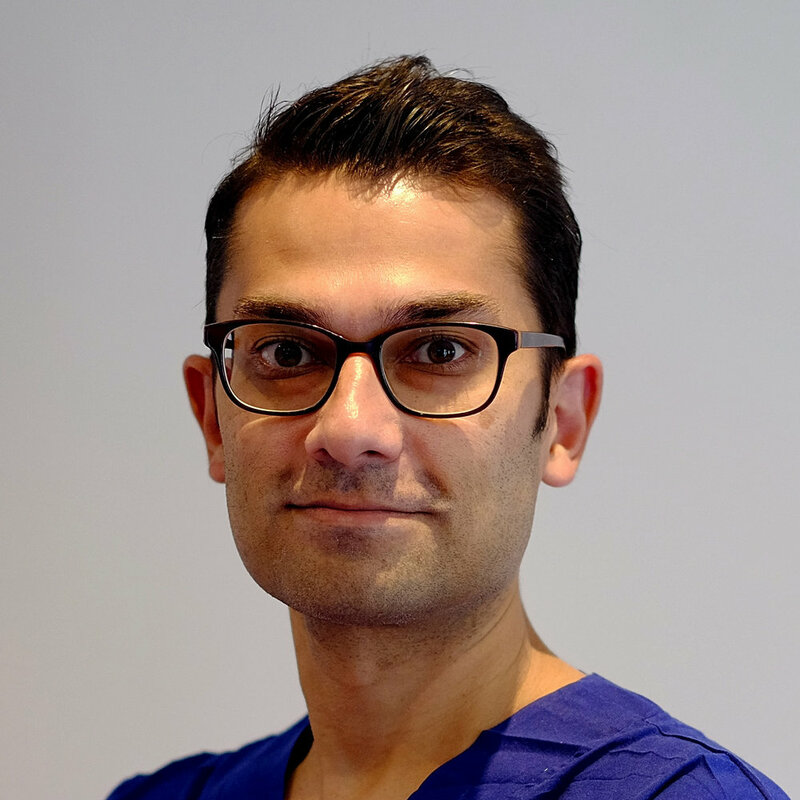 Dr Arpit Srivastava is a specialist anaesthetist, and currently Director of Cardio-thoracic Anaesthesia at Royal North Shore Hospital. He currently holds public hospital appointments, at Royal North Shore and Hornsby Hospitals; and private hospital appointments at Sydney Adventist, Lifehouse, North Shore Private, Norwest and Mater Hospitals. He attended the University of New South Wales, completing his medical degree in 2002. His anaesthetic training was completed at Royal North Shore Hospital. Following attainment of Fellowship of the Australia and New Zealand College of Anaesthetists, he completed sub-specialty training in Cardiac Anaesthesia and Echocardiography at St Vincent’s Hospital. Dr Srivastava scope of practice includes Cardiothoracic Surgery, Head and Neck, Orthopaedic, General and Emergency Surgery. He has a keen interest in quality improvement in Peri-operative Medicine, and has presented on these topics at regional and national meetings. He is also strongly involved in the education of future anaesthetists. Dr. Jayatilleke is a specialist Breast Oncoplastic, Thyroid, and General Surgeon. Nipu prides herself on the time she takes to get to know her patients and their loved ones, so that she can really listen and respond to their individual needs during their journey through the medical system. After obtaining her Fellowship in General Surgery from the Royal Australasian College of Surgeons, Nipu undertook a further two years of subspecialty training in oncoplastic breast surgery (covering benign and malignant breast disease), as well as thyroid and parathyroid surgery, at the Waikato Hospital in New Zealand, and the Breast Cancer Institute at Westmead Hospital. She is now a VMO at Chris O’Brien Lifehouse, St.Luke’s Private Hospital, and Waratah Private Hospital. Dr Janice Lim graduated from Medicine at the University of New South Wales in 2004. She spent her initial few years working in hospitals, gaining a wide range of medical experience and a further 3 years in General Surgery. She has since completed her training in General Practice and is now a qualified GP. She has been assisting A/Prof Niles since 2011 in various private hospitals around Sydney. She thoroughly enjoys caring for patients, both in theatre and in the clinic setting. Rachel studied a Bachelor of Nursing at Western Sydney University, Richmond campus, completing her degree in 2012. While completing her degree she worked at Nepean and in the Blue Mountains local area health district in which she was mainly located at Nepean Hospital. Rachel worked in a variety of wards over her three-year term at Nepean including surgical, oncology, cardiac, general, maternity, respiratory and gerontology wards. In 2013, Rachel was successful in her application for the graduate program at Macquarie University Hospital in theatres. She gained a sound knowledge in her role as a Registered Theatre scrub/scout nurse. Rachel specialized in vascular surgery as well as plastic/reconstructive surgery. She gained sound knowledge in cardio/thoracic, general (colorectal, gynae), neuro, spinal, orthopedic and ENT surgery before moving into a role with Head and Neck surgery assisting A/Prof Navin Niles for all operative cases. Rachel also gained an education and experience in Robotic surgery (cardio-thoracic, urology). Rachel enjoys all facets of perioperative nursing and strives for a holistic and team approach to patient care. Marra has just completed her second year of Medicine at Western Sydney University. She is studying the Bachelor of Medical Research, investigating the topic of tumour-infiltrating lymphocytes and lymphocyte profiling as predictive and prognostic biomarkers in thyroid cancers. Marra has chosen to continue postgraduate studies at the Ingham Institute for Applied Medical Research. Sr Rachel Muir, Dr Susannah Graham, Dr Marcus Maller and Sr Tamika Ellis.